You may not have been watching the skies recently, but if you did and you had a telescope handy, you might have seen Comet Lovejoy. Now we don't know who names comets and we aren't sure where this one came from, but believe it or not that isn't the most interesting thing about it. You see, Comet Lovejoy is the first time scientists have seen a comet release large amounts of alcohol as it screams through space. 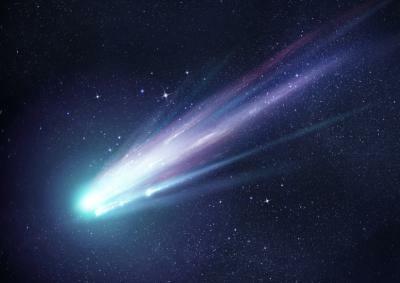 In fact, this comet has been releasing as much alcohol as 500 bottles of wine every second. That is a lot of wine and alcohol and scientists say it may point out that comets could have brought with them complex organisms that eventually led to life on our planet. Speaking of complex organisms, today we discuss bosses in the banking industry and in general. After all, many who read this publication are bosses and include bank CEOs, presidents, supervisors and managers across the country. We think nearly all bosses and employees working in community banks try to do their best every day, but there are things everyone can probably do to improve. For bosses, there are certain characteristics that are necessary to be a true leader. In certain circumstances these can also lead to difficulties in the workplace. For instance, consider that a Gallup survey found that only 18% of US managers had a "high talent" for leadership skills, which include skills like encouraging accountability in the workplace, motivating workers and having the ability to build relationships. The survey also found that 51% of managers were not engaged in their work and a full 14% were actively disengaged. It's not a surprise then that workers found lack of engagement to be a big turn-off and about 50% of employees had left a job to get away from a manager. Another thing we try to understand is whether bosses are happy and if so, whether employees are just as happy. A Pew survey here finds that along with higher paychecks, bosses are more satisfied in their current position than their employees--by a margin of 69% to 48%. Bosses also felt their financial picture was more secure and a higher percentage report satisfaction with their family lives (83% to 74%) than their employees. Bosses are also more likely to report they have sufficient training and education to help them succeed (73% vs. 57%) than employees. Finally, bosses are older than their employees (average age 47 vs. 39). Another area to think about is what it takes to be a good boss. Here we look once again to a Pew survey. It found the most important traits people say matter the most in a leader are to be: honest (84%), intelligent (80%), decisive (80%), organized (67%) and compassionate (57%). These areas are all in constant motion, so it is important for bosses and leaders to ensure their employees see them constantly demonstrating these key traits. Finally, we discuss a study by the University of North Carolina on leadership. It cited Bureau of Labor Statistics data that indicated in the next 5Ys, only 25% of the workforce will be 55Ys or older, as experienced management continues to retire. This is one key reason the study also found 85% of companies are concerned about leadership bench strength and see an urgent need to accelerate the development of leaders. Yet another point here is that the study also found almost half of the companies (47%) have at least 11% to more than 20% of their senior leaders retiring in the next 5Ys. This is a good opportunity for younger employees, but it also means bankers and other companies will need to increase their training to meet this issue head on. In the meantime, as bosses and employees alike seek to improve their own skills, there are some key areas worthy of a bit of focus. These include: ethics, integrity, good communication, strategic thinking, relationship building and a drive to succeed. Keep pushing things forward on these subjects and always try to improve and you will see your bank pick up speed like a comet. Yields dropped 3bps in light of consumer economic data which came in slightly lower than projected. 1) Fidelity Bank ($3.4B, GA) will acquire American Enterprise Bank of Florida ($200mm, FL) for $27mm in stock. 2) German American Bancorp ($2.3B, IN) will acquire River Valley Financial Bank ($519mm, IN) for $84mm in cash and stock. 3) New York Community Bank ($49B, NY) will acquire Astoria Bank ($15.2B, NY) for about $2B in cash and stock or about 1.49x tangible book. 4) Correction: Berkshire Bank has signed an asset purchase agreement with 44 Business Capital, LLC and Parke Bank; Berkshire will acquire the business model of 44 Business Capital and certain other assets of Parke Bank's SBA 7(a) loan program operations 5) Southbridge Savings Bank ($479mm, MA) and Spencer Savings Bank ($469mm, MA) have announced a merger of equals transaction. 6) MB Financial Bank ($15B, IL) will acquire asset management firm MSA Holdings for an undisclosed sum. MSA provides investment advisory and wealth management services. 7) KeyBank ($93B, OH) will acquire First Niagara Bank ($39B, NY) for $4.1B in cash and stock. 1) Bank of America will sell 3 CA branches with $245mmin deposits and $400,000 in loans to Tri Counties Bank ($3.9B, CA) for an undisclosed sum. 2) Bank of America will sell 12 OR and WA branches with $707mm in deposits to Bank of the Cascades ($2.4B, OR) for an undisclosed sum. 3) Bank of America will sell 5 CA branches with $258mm in deposits and $421mm in loans to Redding Bank of Commerce ($984mm, CA) for an undisclosed sum. The Royal Bank of Scotland Group has divested its final 20.9% ownership piece of Citizens Financial of Providence ($135B, RI) after being ordered by European regulators to sell it as part of a prior agreed upon bailout of the larger entity during the financial crisis. The Fed board has approved a proposed rule aimed at increasing loss absorbing capital levels for systemically important banks. The rule requires these largest banks to increase total loss absorbing capital (TLAC) to 16% of risk weighted assets by 2019 and 18% by 2022. It is projected this will require these banks to raise $120B in new debt.